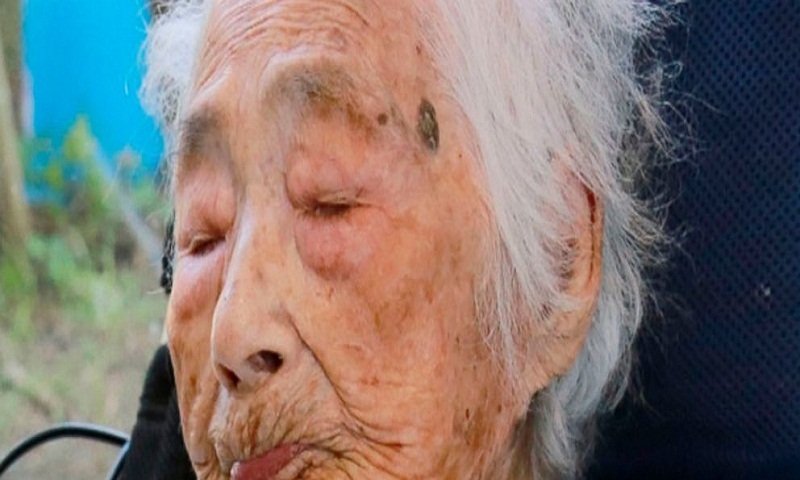 The world's oldest person, a 117-year-old Japanese woman, has died. Nabi Tajima died of old age in a hospital Saturday evening in the town of Kikai in southern Japan, town official Susumu Yoshiyuki confirmed. She had been hospitalized since January. Tajima, born on August 4, 1900, was the last known person born in the 19th century. She raised seven sons and two daughters and reportedly had more than 160 descendants, including great-great-great grandchildren. Her town of Kikai is a small island of about 7,000 people halfway between Okinawa and Kyushu, the southernmost of Japan's four main islands. She became the world's oldest person seven months ago after the death in September of Violet Brown in Jamaica, also at the age of 117. Video shown on Japanese television showed Tajima moving her hands to the beat of music played on traditional Japanese instruments at a ceremony to mark the achievement. The US-based Gerontology Research Group says that another Japanese woman, Chiyo Miyako, is now the world's oldest person in its records. Miyako lives south of Tokyo in Kanagawa prefecture, and is due to turn 117 in 10 days.